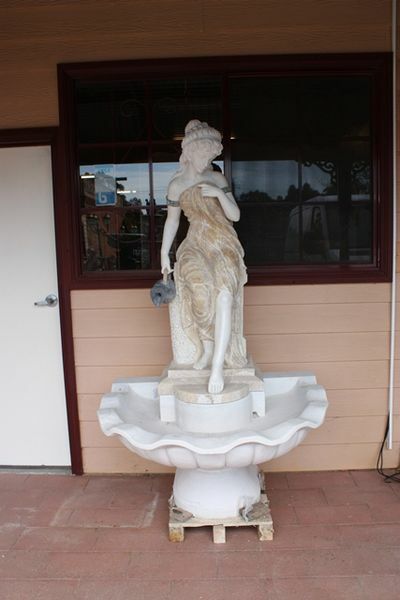 Carved Marble Maiden. Fountain. Sitting on Shell Pond.